Garfield Park was the very first park owned by the City of Indianapolis. Its establishment as a public space clearly contributed to the development of the residential and commercial areas around it. For its role in the history of Indianapolis, Garfield Park is listed on the National Register of Historic Places. 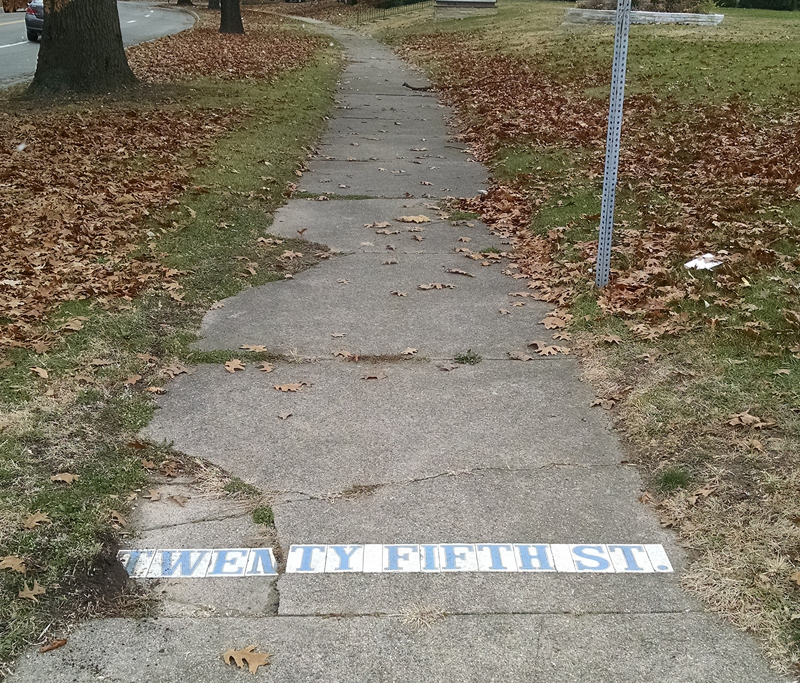 Both the park and the neighborhoods that grew up around the park have interesting histories. One of the institutions in the general vicinity is the University of Indianapolis, which is about two miles southeast of the park. The evolution of the area had its beginnings in 1822, when Virginia-born brothers Henry Bradley and James Bradley came to Indiana on horseback to purchase land in the former Northwest Territory. 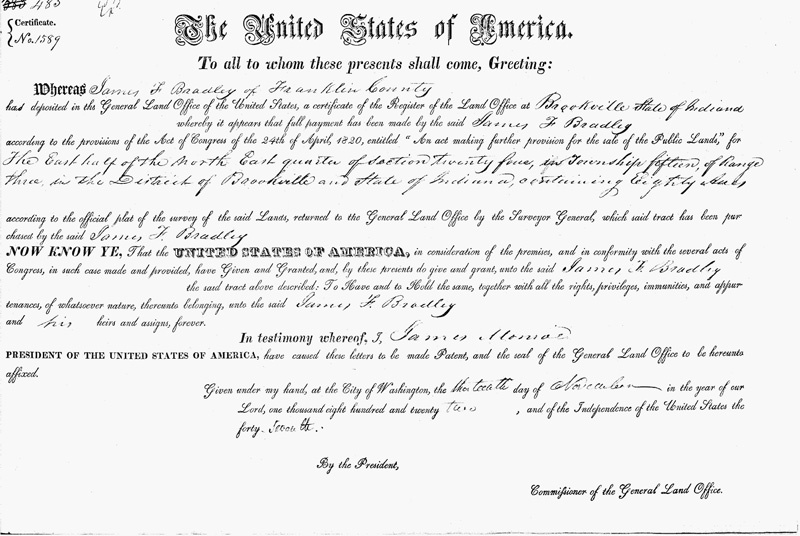 The two men obtained adjacent tracts of 80 acres each from the federal government in Center Township of Marion County, just south of the newly designated state capital of Indianapolis. Construction of the first railroad in Indiana began in the city of Madison in 1836. Over the next decade, sections of it were completed, as it steadily made its way north to Indianapolis. When the tracks eventually extended into Marion County, the rail line was built along the west edge of the Bradleys’ property. 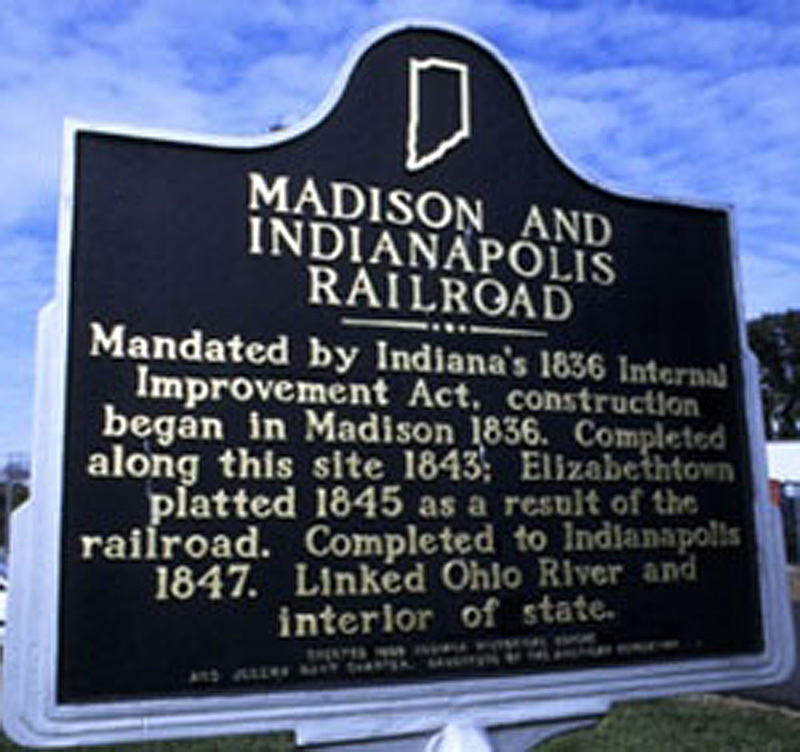 The Madison & Indianapolis Railroad Company made its first run from Madison to Indianapolis on October 1, 1847. 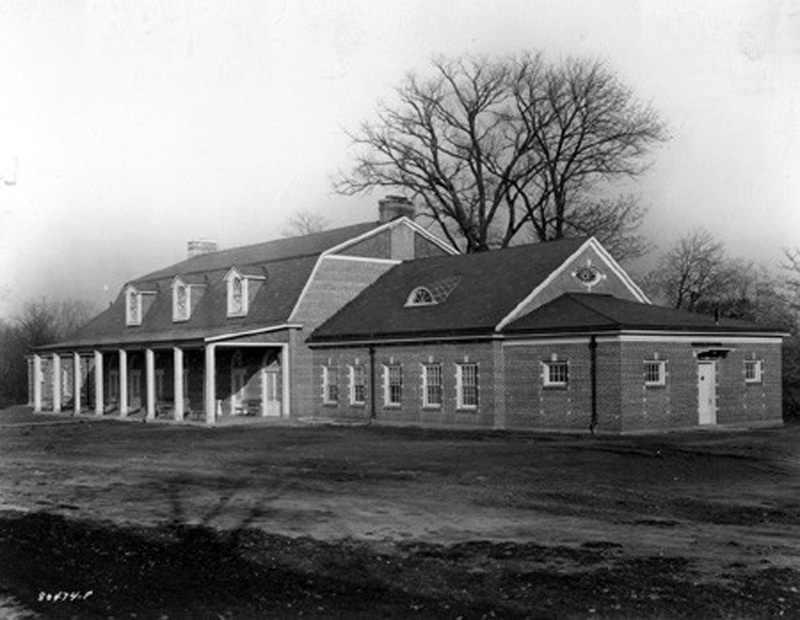 The M&I Railroad built its Indianapolis train depot on the south side of E. South Street between Pennsylvania and Delaware Streets. In 1871, racing promoters purchased the Bradleys’ former land, which had come to be known by locals as Bradley Woods. The Southern Riding Park attempted to operate a track with harness racing events, but the location was too remote from the city for people to frequent it, and the enterprise failed. The City of Indianapolis purchased the land two years later and leased it to the Indiana Trotting Association. That group did not succeed either. In 1876, the City’s first public park opened. 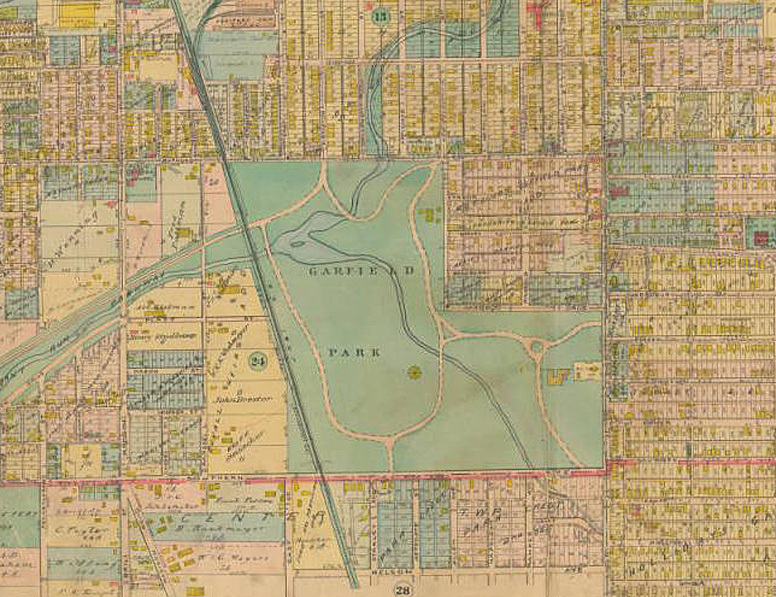 Originally called Southern Park, the park was renamed Garfield Park following the 1881 assassination of President James A. Garfield. 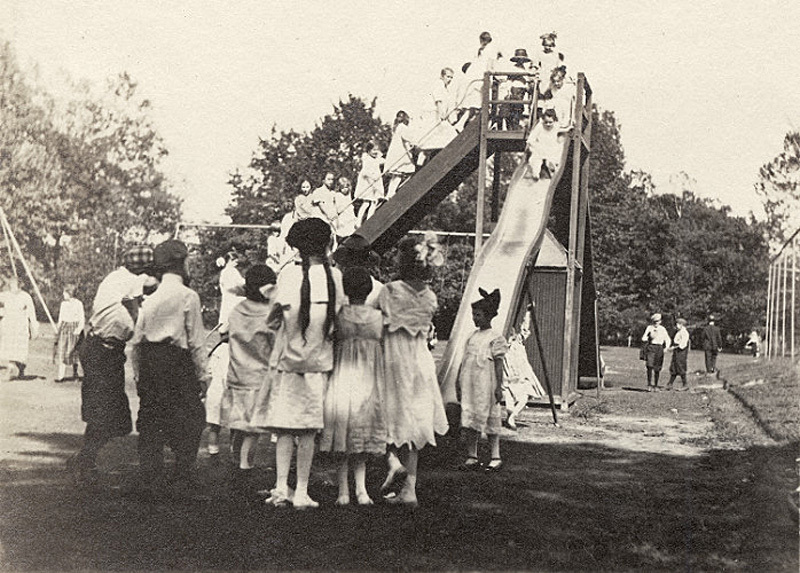 Use of the park was low in its early years. 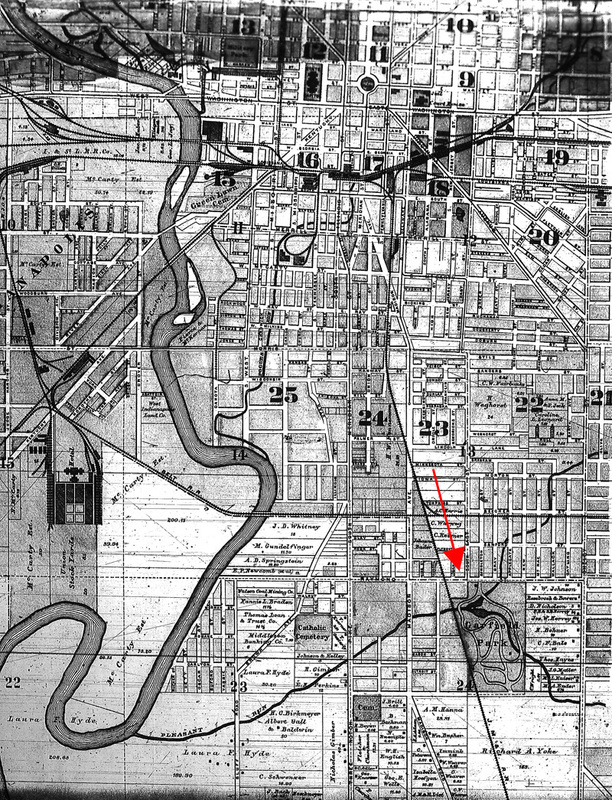 Just as when it was a racetrack, the park was considered too distant from the center of Indianapolis for easy access. 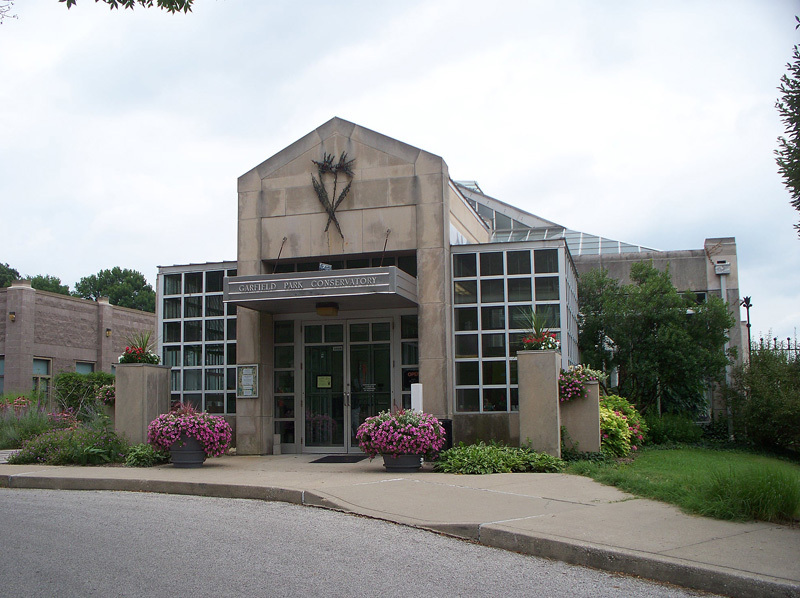 Various alternative uses were considered by the Indianapolis City Council, including the relocation of the Indiana State Fairgrounds from 19th and Alabama Streets to the park property. None of the proposed uses ever received a majority vote. Attendance at the park park grew dramatically in the 1880s and 1890s, after a bridge was constructed over Pleasant Run and a streetcar line was extended to the park’s entrance. In the next decade, many of the neighborhood’s streets were laid out, on which homes and businesses would be built over the next few decades. An 1889 map illustrates the development to that point. 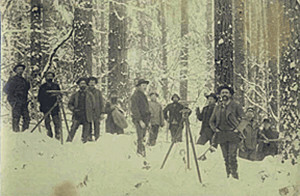 Additional land was acquired between 1893 and 1915 and added to the park, which brought it to its present size of 128 acres. The parcels that completed the park included a small irregularly shaped piece of land in the northwest corner and a larger rectangular tract of land in the southeast corner. The final acquisition consisted of 25 acres that had been part of the Yoke family’s farmstead. The shape of the park resembles the letter “L” or a boot. 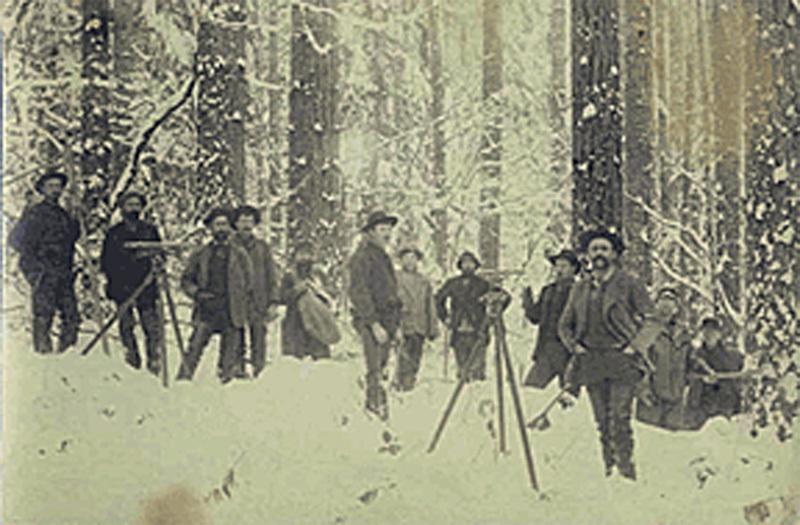 In 1895, the City created the Board of Park Commissioners, as well as dedicated significant funds for repairs and updates. Major improvements were made between 1900 and 1910, including the creation of bicycle paths, sidewalks, and swimming beaches, and the construction of a pagoda, greenhouses, tennis courts, and entrance pillars. In 1908, the Board of Park Commissioners hired landscape architect George Edward Kessler to create a plan for the parks system. 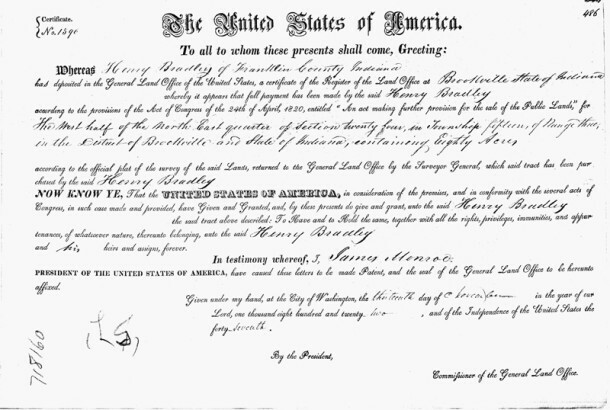 His plans for parks, boulevards, and bridges was approved in 1909. 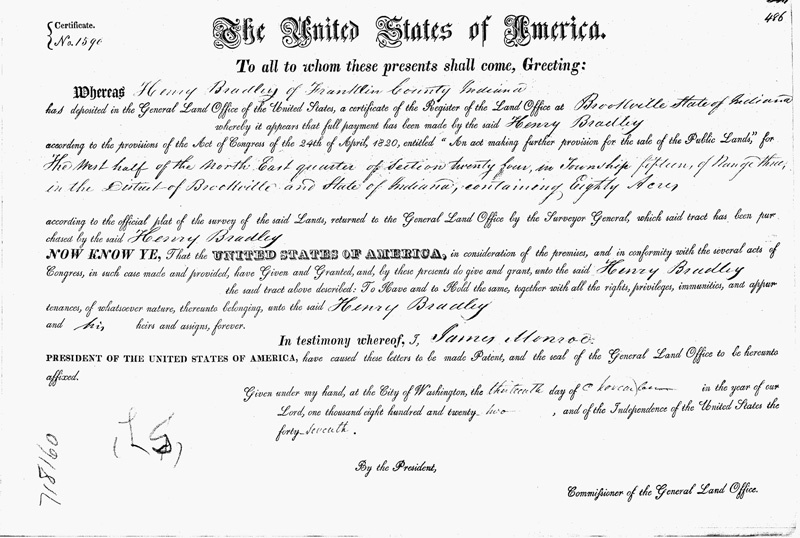 They were implemented over the next several years, some of which were not completed until after Kessler’s death in 1923. 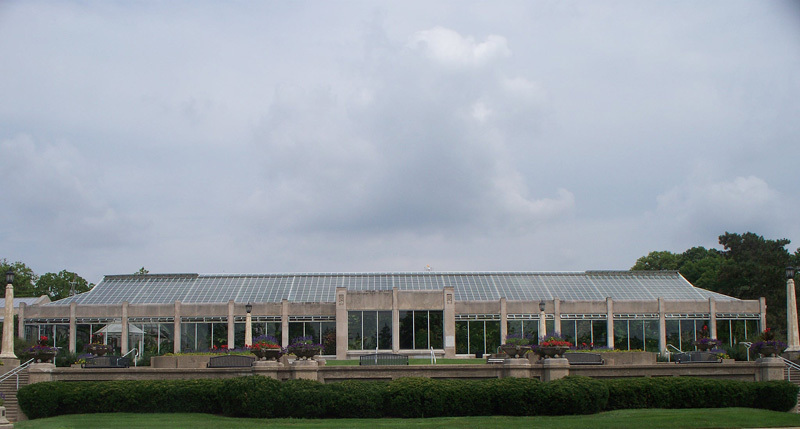 The original Conservatory and greenhouses were built in 1915. 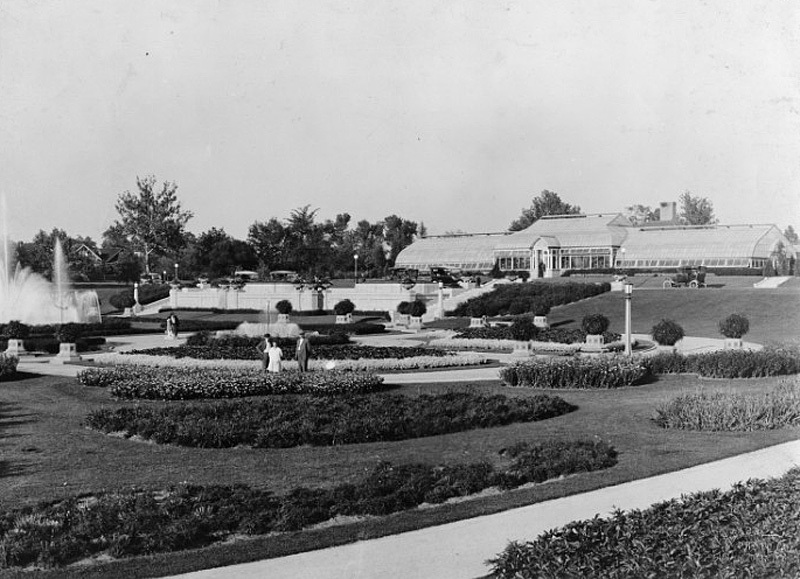 The Sunken Gardens were created between 1914 and 1916. Between 1951 and 1953, Emmerich Manual High School was built immediately west of Garfield Park on the opposite side of the railroad tracks that border the park. The original Conservatory was replaced in 1954 and renovated in 1997. 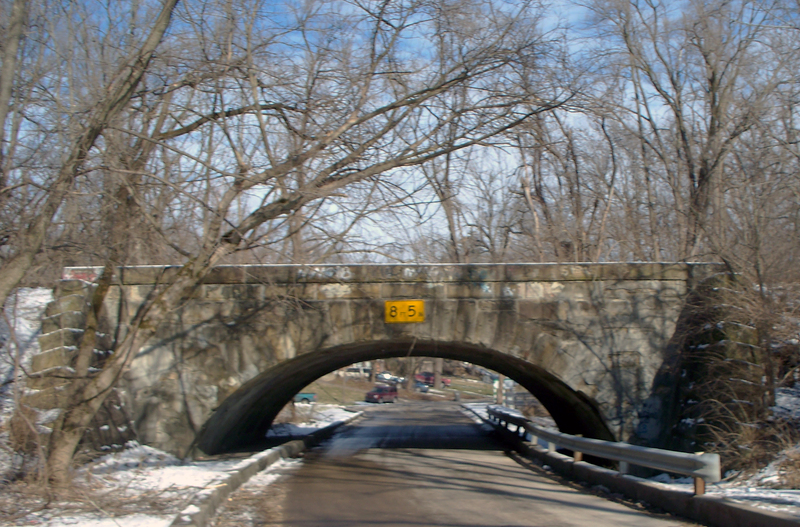 The Madison Avenue Expressway was constructed just west of the Garfield Park area in 1958. Interstate-65 was built just east of the Garfield Park area in 1975. The creation of these two high-speed thoroughfares had the effect of isolating the Garfield Park area from its neighbors to the west and to the east. Like many of the older neighborhoods of Indianapolis, the Garfield Park area experienced some rough years in the 1970s and 1980s, as people left the neighborhood for suburban locations. Unsavory activities in the park earned it the reputation of not being a safe place. In 1989, the Garfield Park Master Plan was created by the Division of Planning at the Department of Metropolitan Development. Since that time, the neighborhood has been slowly recovering. 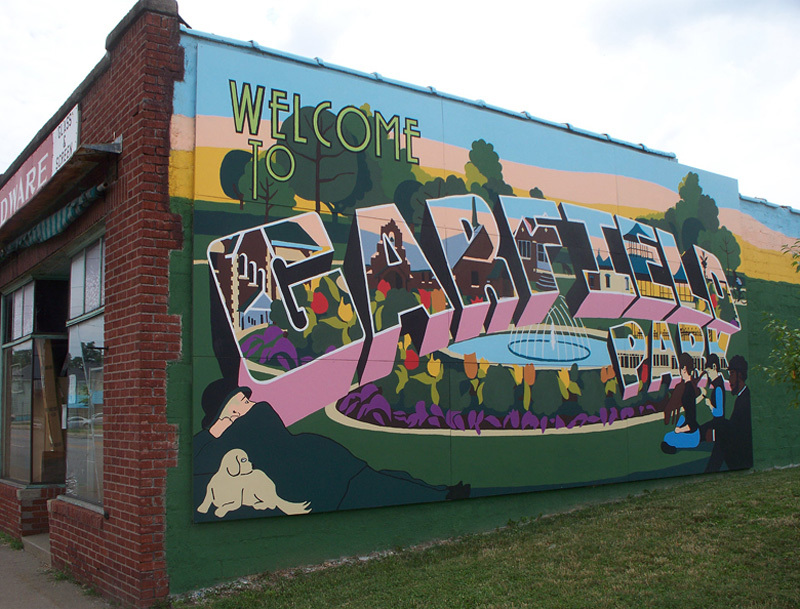 Garfield Park is now considered to be a very safe place, and the entire area is enjoying an exciting rebirth. 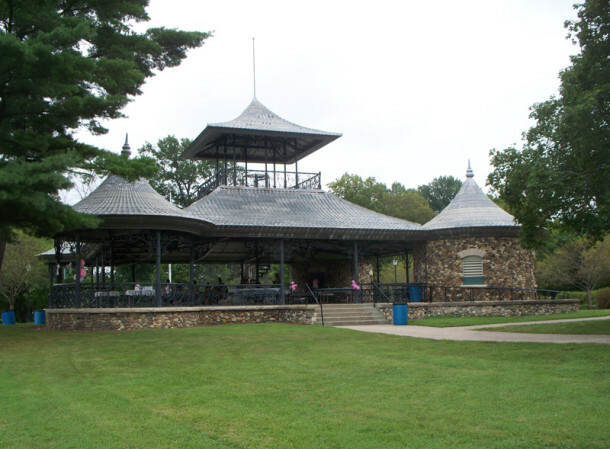 Built in the 1920s, the Amphitheater received a makeover in 1997 and was renamed the MacAllister Center. The Burrello Family Center was dedicated in 1998 and named for longtime park manager Lynda Burrello. The park continues to fluorish and grow, largely due to the creation of the Friends of Garfield Park Inc. Founded in 1998, the mission of the FOGP is to ensure the preservation and continuation of the park’s many public benefits. A new Art Center was built in 2006 on the site where the old swimming pool and locker rooms used to be. 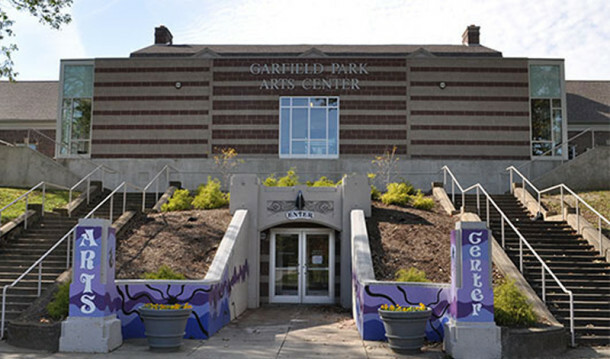 Located only a couple of miles southeast of Monument Circle, the Garfield Park area is conveniently located within a short drive, bus trip, or bike ride to downtown. Two registered neighborhood organizations serve specific areas adjacent to the park, primarily directly north of and directly south of the park. They are Garfield Park Neighbors Association and Garfield Park-South Neighborhood Association. The GPNA is currently in the process of becoming a 501(c)(3) nonprofit organization, so that it can seek grants and offer tax deductibility to supporters. Besides the two neighborhood associations, many residents, businesses, and other organizations have been coming together to further facilitate the ongoing revival of the Garfield Park area. Plans are to renovate existing historic properties and build new ones, as well as promote locally owned businesses and a more walkable, bikeable neighborhood. A recent community project resulted in a colorful mural that resembles a postcard being painted on the side of a commercial building on Shelby Street, just south of the intersection at Raymond Street. The reader’s question made reference to the University of Indianapolis’s being in the area. Although it is not far away, UIndy is not actually within the boundaries of either of the two neighborhood groups that have Garfield in their names, so I have not discussed the university here. I will provide some history of the University of Indianapolis and the neighborhoods immediately surrounding the institution in next week’s HI Mailbag column. If you’d like to be a part of the ongoing renaissance happening near Garfield Park or the University of Indianapolis, the Indiana Neighborhood Housing Partnership (INHP) is hosting an open house at UIndy for those who are interested in becoming homeowners this Thursday, July 25th, at 6:00 p.m. This article generously sponsored by Indiana Neighborhood Housing Partnership (INHP). You can visit their website here. Nice job, Sharon. I grew up playing in Garfield Park, as did my father before me. We now live directly across the street from the park and enjoy walking our Irish Red and White Setter, Finn McCool, there. The park is indeed safe and much used. The new swimming pool with water slide etc., the Conservatory, Art Center and the Burello Family Center with its indoor basketball courts and gym are all great amenities that add to the experience of living so near by. Very well constructed and affordable housing within 5 minutes of Fountain Square and 10 minutes from downtown all make the Garfield Park area a great place to live. Thank you for highlighting Garfield Park and the immediate area. Very nicely done. Our neighborhoods there are working hard to make the area a desired place to work, live, and play. And, just inside of the Southern Ave entrance (I wonder who the wag was who chose the location) is the original memorial monument to those Confederate soldiers who died while held prisoners-of-war at Camp Morton. Interesting reading for any Civil War buffs around town, as it shows a fairly representative spectrum of men’s names, states and units from across the whole Confederacy who had been captured during the war, beginning with the Fort Donelson campaign in 1862. Sharon – Outstanding! Thank you for a wonderful, in-depth and historic perspective of Indy’s oldest city park. 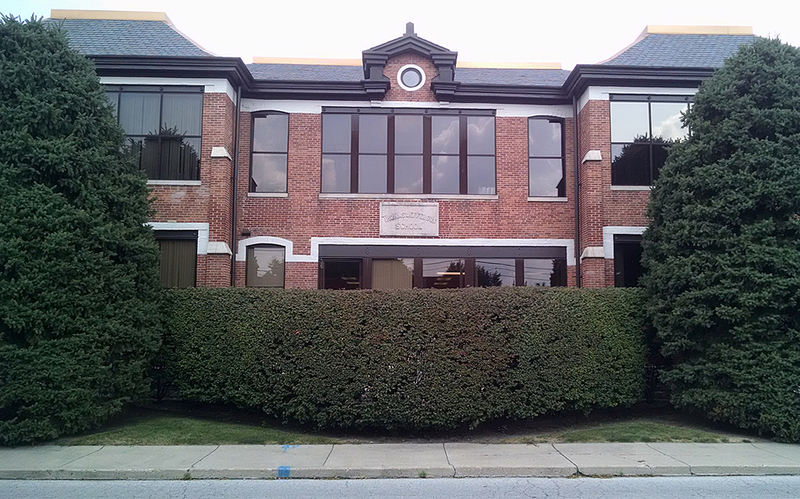 I appreciate the past history, maps, photographs, as well as the information regarding the renaissance of the area. As a resident of Garfield Park since 2002, I can affirm that this is one of the best neighborhoods and communities near downtown, without the downtown price. 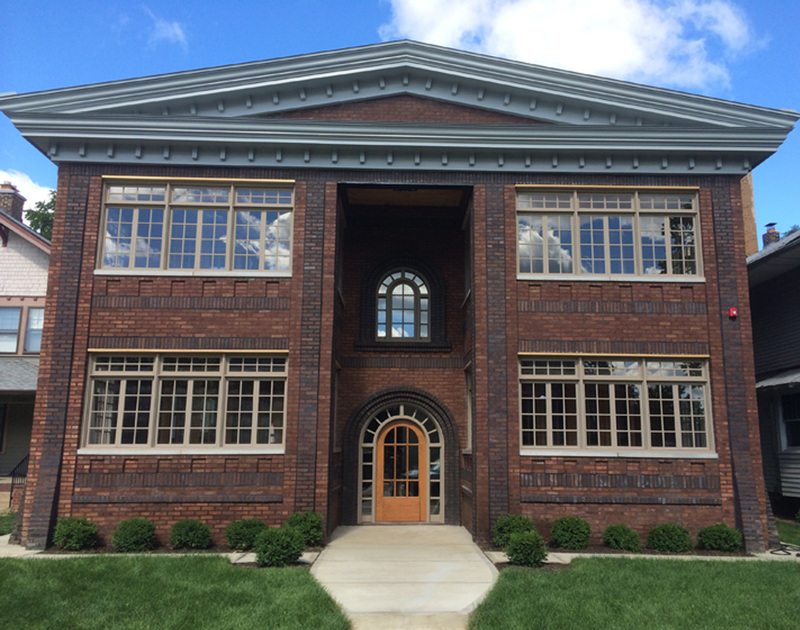 I hope we will continue to see more coverage of the near south side featured in Historic Indianapolis. Sharon — another great job of helping folks know the history of Indy. IF ONE WANTS TO TOSS HORSESHOES, Garfield Park is the place to do it. I’d be curious to hear if there are other places in central Indiana that have public pits. I didn’t notice the horseshoe pits in my tour of the park. Where are they located? They were once located next to the pool under the large shelter there now. The area, sadly, is now a parking lot. The aerial maps on Indy.gov/mapindy are excellent to look back onto the pool and the parks layout going back to 1937. 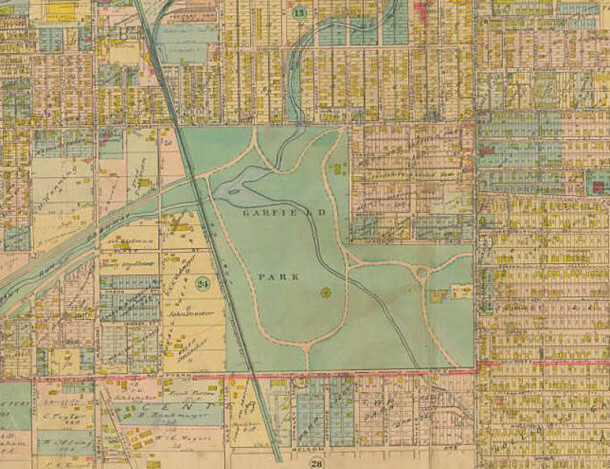 This is a wonderful history of Garfield Park. 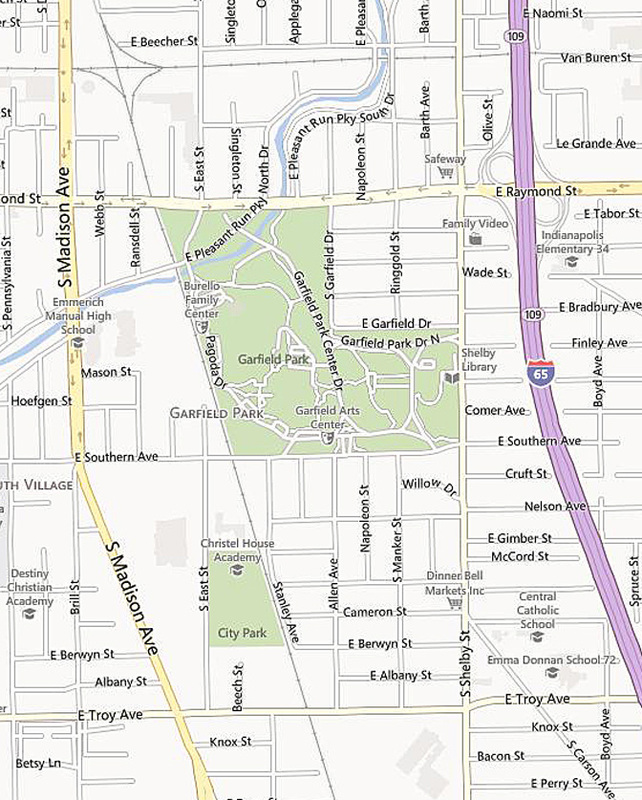 Although I grew up by the University of Indianapolis, I frequently played in Garfield Park. Now I live across the street from the Park and it is very safe. I walk there frequently and enjoy the Conservatory and Sunken Gardens. Thank you for writing this article! I also agree that many new people are moving into the area surrounding the Park and are interested in making the area safe for everyone. Now having lived near Garfield Park for 10 years and part of the GP-SNA, I’m thrilled at the new plans for the area. I’ve never felt unsafe in this area, yet almost everyone I know believes it to be a scary & violent part of town. I love my neighborhood and I’m proud to live there. The telephone pole fell in the road when someone hit it with their car. Sharon, the horseshoe pits are across Bean Creek from the outdoor basketball courts and just south of the “Tickle Tummy” Bridge.